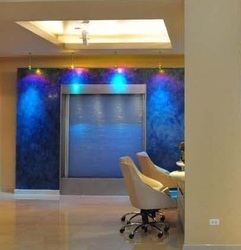 This Fantasy Water Wall will turn any wall into a dynamic landscape of sight and sound. With a blue Bios and shining LED lights, this water feature pops out and creates an oceanic atmosphere. 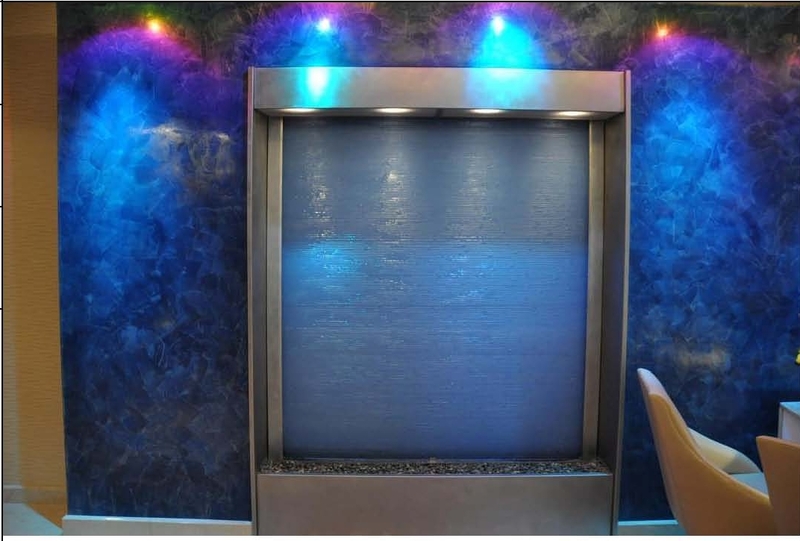 The ambiance of this piece is sure to impress, and as water trickles down into a bed of pebbles, a gentle flowing river acoustic will fill the soundscape and provide a serene atmosphere.